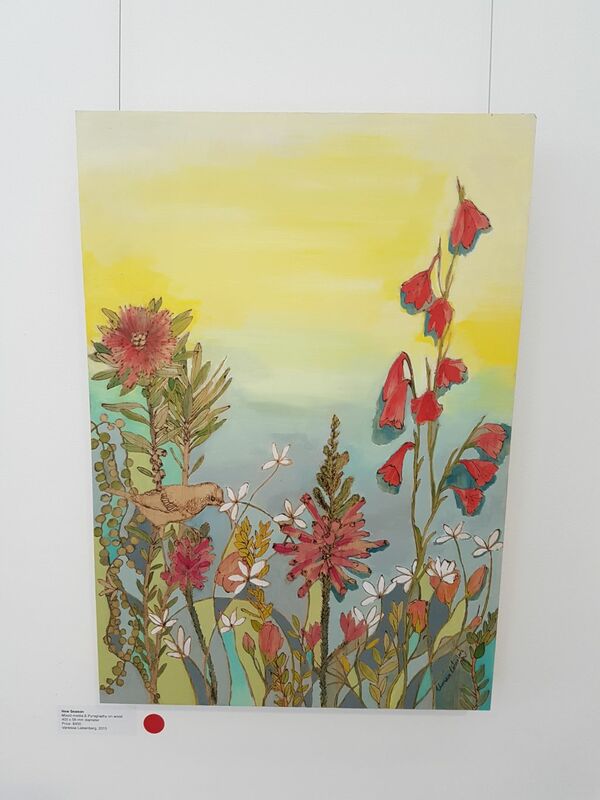 On 2 February 2017 local artist Vanessa Liebenberg will speak at the first gathering of the Murdoch Branch for the year. 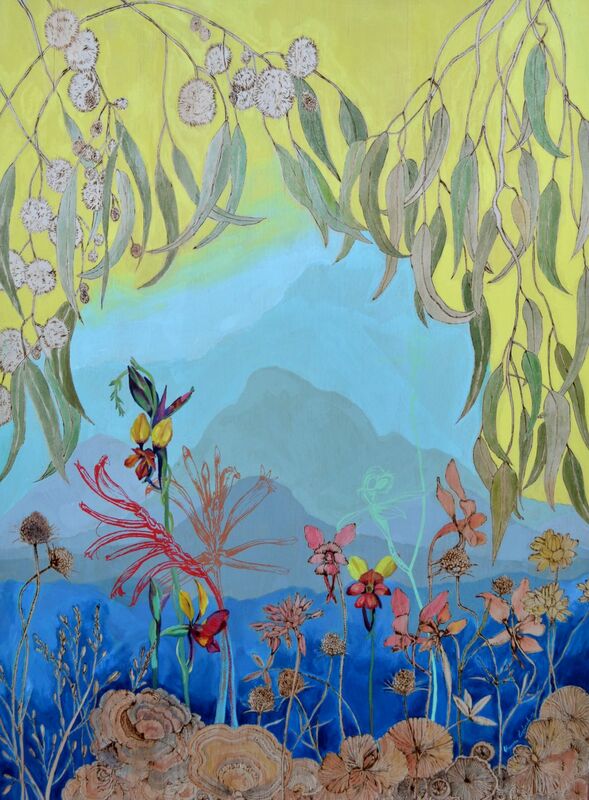 Flora plays a major role in Vanessa’s work as an artist and textile designer. 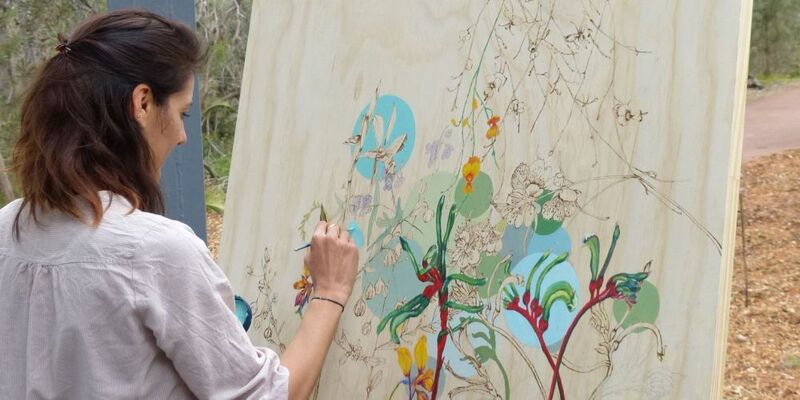 Since moving to Western Australia, she has been fascinated by the plant life and wildflowers of WA. 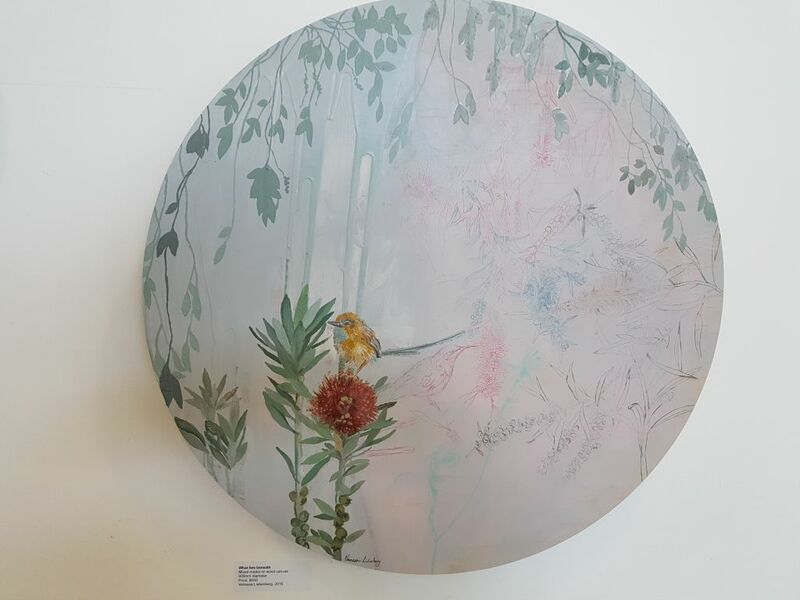 Vanessa will discuss some of these influences and the influences of botanical artists on her work, as well as the process and media she uses. 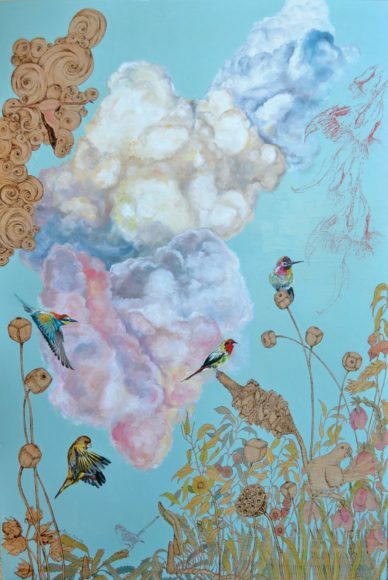 Vanessa spoke recently with Viki Cramer about her art. New Season. Pyrography on wood. Somewhere. Pyrography and mixed media on wood. Possibilities. Pyrography and mixed media on wood. The choice of which plants or birds she will incorporate into any particular piece is not a calculated decision. “I see something beautiful and I want to recreate it” she says. “If you practice” she adds.